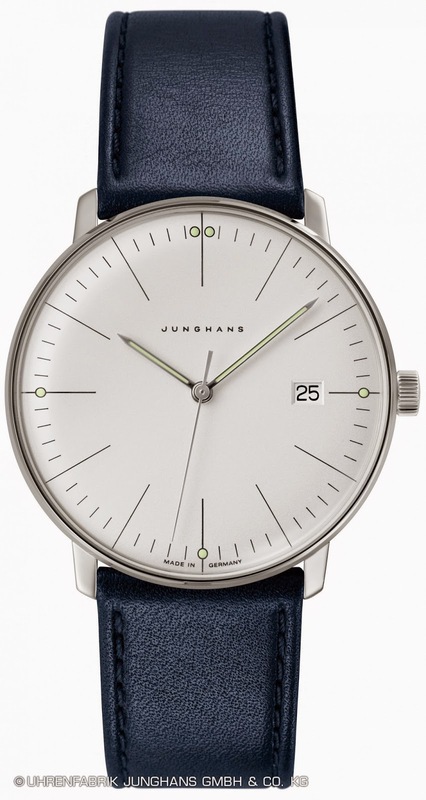 Created in the era of the Bauhaus, the design watches of the Max Bill by Junghans range are now modern classics for the wrist. The simple and logical design of the models is based on the original drawings of Bauhaus artist Max Bill. In 2014 the successful range of purist timepieces is presented in new dimensions – and with new impetus. The two new max bill Automatic models are simple and pure – therefore remaining true to the purist style of the max bill range. Previously only found in the hand-wound version, the dial has been integrated into an automatic watch of the collection for the first time, in a larger, 38 mm diameter. With its slate-grey dial and beige-coloured calfskin strap, this is a watch that effectively combines design and time with one another. The second version of the max bill Automatic comes in jet black. The max bill ladies’ models with quartz movement have proved highly popular over the last two years. 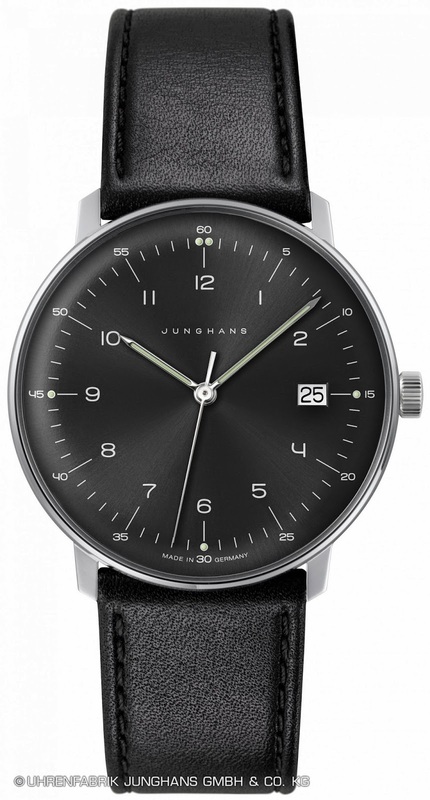 Junghans is now responding to great demand by also launching quartz watches for men in the acclaimed design range. The clear, logical dial arrangement of the Max Bill Quartz is based upon the minimalist design of the artist Max Bill. Luminescent dots at 3, 6 and 9 o’clock and a double dot at 12 o’clock mean that the pure dial is also easily legible in the dark. With a diameter of 38 millimetres and extremely flat case, the timepieces are also intended for women that prefer to wear a larger watch. The models are available with white, matt silver plated or dark dial with sunray cut. The original, purist design of the Bauhaus artist is also evident in the new max bill Quartz models – with an alternative form of movement that is a positive addition to this successful range. True to the adage “Form follows function”, the artist and Bauhaus pupil Max Bill designed a timepiece of a very special kind. The logical dial design of the kitchen clock from 1956, which wrote design history as the Max Bill Wall Clock, became the characteristic feature of these timepieces and in 1961 it was incorporated into the design of the first Max Bill wristwatches. The artist placed particular emphasis on the combination of utility and beauty. 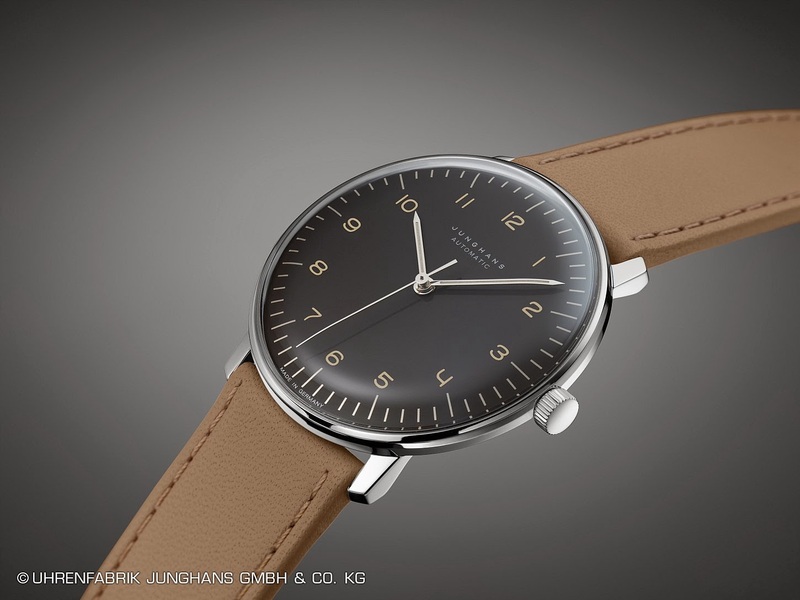 With constructive clarity and the strive for aesthetic perfection the design classics of the Max Bill by Junghans range are still produced in nearly unaltered form to this day.